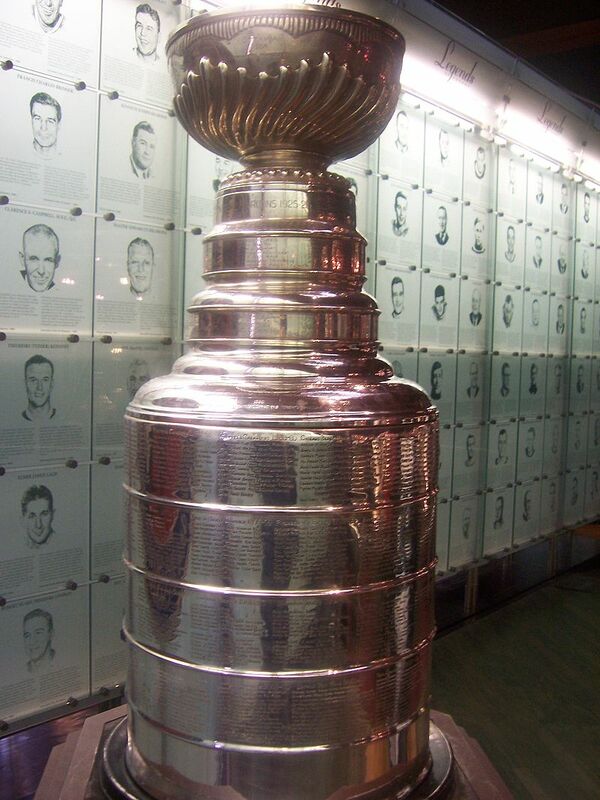 The Stanley Cup is the prized trophy that the NHL awards each season to the last team standing in the playoffs. There are currently 30 teams that compete in the NHL each season for the Stanley Cup. The Stanley Cup is named for Lord Stanley of Preston, who, when he was serving as Governor of Canada in 1892, felt their should be some kind of symbol for the best team in hockey each year. So Lord Stanley bought a silver bowl and it was presented to the Montreal Amateur Athletic Association hockey club, deemed the best team, in 1893. Until around 1910, the Stanley Cup mainly went to amateur teams, but as professional hockey took off in Canada the trophy became a prize for pro teams and players. Today, the Stanley Cup is a prize possession for hockey players, and each NHL player on the team that wins the Stanley Cup gets to spend a day with the Cup. The following is a list of all the teams in the NHL that have yet to win the Stanley Cup. I've listed the teams chronologically from the time each franchise joined the NHL. The St. Louis Blues, who joined the NHL in 1967 as an expansion team, have never won the Stanley Cup. The Blues made the Stanley Cup Finals consecutively for three years from 1968 to 1970, but lost each time. The Buffalo Sabres, who joined the league in 1970 as an expansion team, made the Stanley Cup Finals in 1975 and 1999, but lost both times. The Vancouver Canucks also joined the NHL in 1970 as an expansion team. The Canucks made the Stanley Cup Finals in 1982, 1994, and 2011, but lost each time. The Washington Capitals, who joined the NHL as an expansion team in 1974, have made it to the Stanley Cup Finals once in 1998, where they lost to the Detroit Red Wings. The Capitals won their first Stanley Cup in 2018 defeating the expansion Vegas Golden Knights in the finals 4-1. The Phoenix Coyotes started out as the Winnipeg Jets, who joined the NHL in 1979 by merging into the league from the World Hockey Association (WHA). The Jets played in the NHL until 1996 without winning the Stanley Cup, and then moved to Phoenix and became the Coyotes. The Phoenix Coyotes have also not won the Stanley Cup. The franchise has yet to make it to the Stanley Cup Finals. Since joining the NHL as an expansion team in 1991, the San Jose Sharks have made it to the Stanley Cup Finals once in 2016 but they lost to the Pittsburgh Penguins. The original Ottawa Senators played in the NHL from 1917 to 1934 and won 11 Stanley Cups. The franchise moved to St. Louis after the 1034 season. In 1993, the second version of the Ottawa Senators joined the NHL as an expansion team which has yet to win a Stanley Cup. The Florida Panthers joined the NHL as an expansion team in 1993. The Panthers had great early success, as they made it to the Stanley Cup Finals in just two years in 1996, but they lost to the Colorado Avalanche, who won their first Stanley Cup that season. The Nashville Predators, who joined the league in 1997 as an expansion team, have never even come close to making the Stanley Cup Finals. The franchise did win the first playoff series of its existence in 2012. The current Winnipeg Jets franchise joined the NHL in 1999 as the Atlanta Thrashers. The franchise, which never even won a playoff game in Atlanta, moved to Winnipeg and became the Jets in 2011. The franchise still has not won a playoff game. The Minnesota Wild joined the NHL in 2000 as an expansion team. The Wild have yet to make a Stanley Cup Finals appearance. The Columbus Blue Jackets also joined the NHL in 2000 as an expansion team. The Blue Jackets have yet to win a playoff round in the NHL, let alone win the Stanley Cup.